Inhibitors of sodium–glucose co-transporter type 2 (SGLT2) are proposed as a novel approach for the management of type 2 diabetes mellitus (T2DM). Several compounds are already available in many countries (dapagliflozin, canagliflozin, empagliflozin and ipragliflozin) and some others are in a late phase of development. The available SGLT2 inhibitors share similar pharmacokinetic characteristics, with a rapid oral absorption, a long elimination half-life allowing once-daily administration, an extensive hepatic metabolism mainly via glucuronidation to inactive metabolites, the absence of clinically relevant drug–drug interactions and a low renal elimination as parent drug. SGLT2 co-transporters are responsible for reabsorption of most (90 %) of the glucose filtered by the kidneys. The pharmacological inhibition of SGLT2 co-transporters reduces hyperglycaemia by decreasing renal glucose threshold and thereby increasing urinary glucose excretion. The amount of glucose excreted in the urine depends on both the level of hyperglycaemia and the glomerular filtration rate. Results of numerous placebo-controlled randomised clinical trials of 12–104 weeks duration have shown significant reductions in glycated haemoglobin (HbA1c), resulting in a significant increase in the proportion of patients reaching HbA1c targets, and a significant lowering of fasting plasma glucose when SGLT2 inhibitors were administered as monotherapy or in addition to other glucose-lowering therapies including insulin in patients with T2DM. In head-to-head trials of up to 2 years, SGLT2 inhibitors exerted similar glucose-lowering activity to metformin, sulphonylureas or sitagliptin. The durability of the glucose-lowering effect of SGLT2 inhibitors appears to be better; however, this remains to be more extensively investigated. The risk of hypoglycaemia was much lower with SGLT2 inhibitors than with sulphonylureas and was similarly low as that reported with metformin, pioglitazone or sitagliptin. Increased renal glucose elimination also assists weight loss and could help to reduce blood pressure. Both effects were very consistent across the trials and they represent some advantages for SGLT2 inhibitors when compared with other oral glucose-lowering agents. 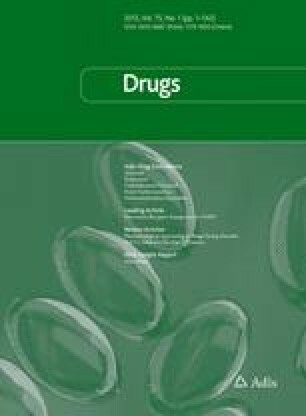 The pharmacodynamic response to SGLT2 inhibitors declines with increasing severity of renal impairment, and prescribing information for each SGLT2 inhibitor should be consulted regarding dosage adjustments or restrictions in moderate to severe renal dysfunction. Caution is also recommended in the elderly population because of a higher risk of renal impairment, orthostatic hypotension and dehydration, even if the absence of hypoglycaemia represents an obvious advantage in this population. The overall effect of SGLT2 inhibitors on the risk of cardiovascular disease is unknown and will be evaluated in several ongoing prospective placebo-controlled trials with cardiovascular outcomes. The impact of SGLT2 inhibitors on renal function and their potential to influence the course of diabetic nephropathy also deserve more attention. SGLT2 inhibitors are generally well-tolerated. The most frequently reported adverse events are female genital mycotic infections, while urinary tract infections are less commonly observed and generally benign. In conclusion, with their unique mechanism of action that is independent of insulin secretion and action, SGLT2 inhibitors are a useful addition to the therapeutic options available for the management of T2DM at any stage in the natural history of the disease. Although SGLT2 inhibitors have already been extensively investigated, further studies should even better delineate the best place of these new glucose-lowering agents in the already rich armamentarium for the management of T2DM. A. J. Scheen has received lecture/advisor fees from AstraZeneca/BMS, Boehringer Ingelheim, Eli Lilly, Janssen, Merck Sharp & Dohme, Novartis, NovoNordisk, Sanofi-Aventis and Takeda. European Medicines Agency. Assessment report. Forxiga (dapagliflozin). 2012. http://www.ema.europa.eu/docs/en_GB/document_library/EPAR_-_Public_assessment_report/human/002322/WC500136024.pdf. Accessed 20 Oct 2014. European Medicines Agency. Assessment report. Invokana (canagliflozin). 2013. http://www.ema.europa.eu/docs/en_GB/document_library/EPAR_-_Summary_for_the_public/human/002649/WC500156455.pdf. Accessed 27 Oct 2014. European Medicines Agency. Assessment report. Jardiance. International non-proprietary name: empagliflozin. 2014. http://www.ema.europa.eu/docs/en_GB/document_library/EPAR_-_Public_assessment_report/human/002677/WC500168594.pdf. Accessed 20 Oct 2014. Food and Drug Administration. Center for Drug Evaluation and Research report. Canagliflozin (Invokana). 2014. http://www.accessdata.fda.gov/drugsatfda_docs/nda/2013/204042Orig1s000ClinPharmR.pdf. Accessed 20 Oct 2014. Janssen Research & Development, LLC. A study of the effects of canagliflozin (JNJ-28431754) on renal endpoints in adult participants with type 2 diabetes mellitus (CANVAS-R) [ClinicalTrials.gov identifier NCT01989754]. US National Institutes of Health, ClinicalTrials. gov. http://clinicaltrials.gov/show/NCT01989754. Accessed 1 Dec 2014. AstraZeneca. Multicenter trial to evaluate the effect of dapagliflozin on the incidence of cardiovascular events (DECLARE-TIMI58) [ClinicalTrials.gov identifier NCT01730534]. US National Institutes of Health, ClinicalTrials.gov. http://clinicaltrials.gov/show/NCT01730534. Accessed 1 Dec 2014. Janssen Research & Development, LLC. CANVAS – CANagliflozin cardioVascular Assessment Study [ClinicalTrials.gov identifier NCT01032629]. US National Institutes of Health, ClinicalTrials.gov. http://clinicaltrials.gov/show/NCT01032629. Accessed 1 Dec 2014. Boehringer Ingelheim; Eli Lilly and Company. BI 10773 (Empagliflozin) cardiovascular outcome event trial in type 2 diabetes mellitus patients (EMPA-REG OUTCOME) [ClinicalTrials.gov identifier NCT01131676]. US National Institutes of Health, ClinicalTrials.gov. http://www.clinicaltrials.gov/show/NCT01131676. Accessed 1 Dec 2014.